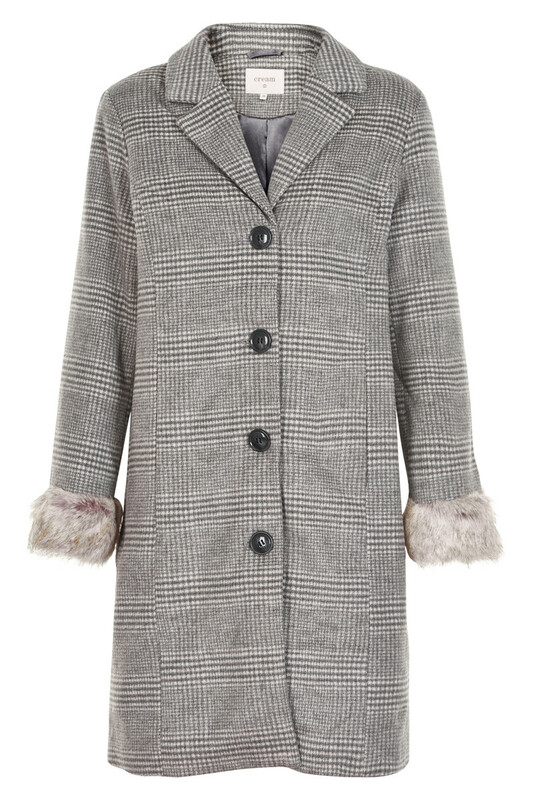 Cream wool coat with check pattern, button closure, wide collar and faux fur at the cuffs. The length is knee-length. Style it with a nice knitted scarf, hat and leather gloves and you’re ready for those chilly autumn days.